OOPS! WE HAVE A NEWER SITE ONLINE THAN THIS ONE! VISIT THE CURRENT WATRNC.ORG SITE HERE. WATR is a grassroots organization working to improve your water quality and habitat of the Tuckasegee River Basin. 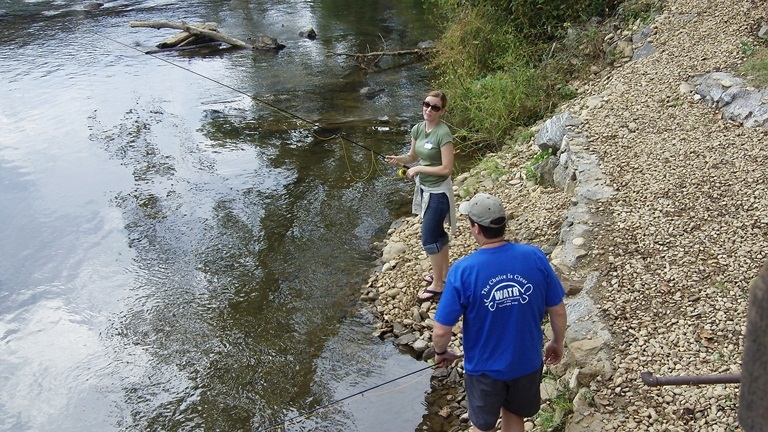 The Tuckasegee River watershed supplies the drinking water and ecosystem foundation for Swain and Jackson Counties. What happens upstream, downstream, and all around the watershed impacts all of us directly. Tuesday November 13, 5:30pm Sylva. More info. Join the WATR-MFP Clean Up Team the first Wednesday of each month at 5:30 P.M. as we pull trash out of Scott Creek at Monteith Farmstead Park. Usually lasts about 45 minutes, give or take. Meet green minded folks! Having fun on the Discovery Trail Tour! We are in the final stages of building the South and West Discovery Trails. Visiting them is designed to be informative and fun. The South Trail reveals why having a natural buffers along our creeks is critically important to the health of the creek and the life in it. The West Trail shows land owners how having natural buffers along their creeks is satisfying and enjoyable. Come and take the self-guided tour at Monteith Farmstead Park. Adventure Hours at the WATR Discovery Trail – It’s been a great summer, see you next year! Read the recent article featuring the Discovery Trails in the Smoky Mountain News – Here! 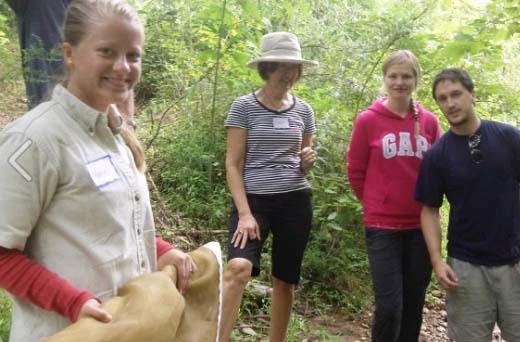 WATR members join Cherokee artisans, looking for the perfect cane stalk! 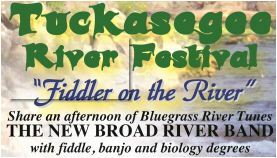 hoping to read the article of why it is called the Tuckaseegee River posted on the website. Thanks!